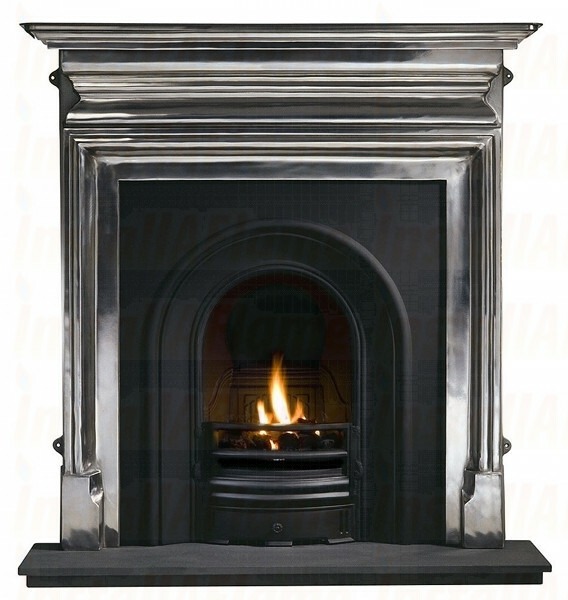 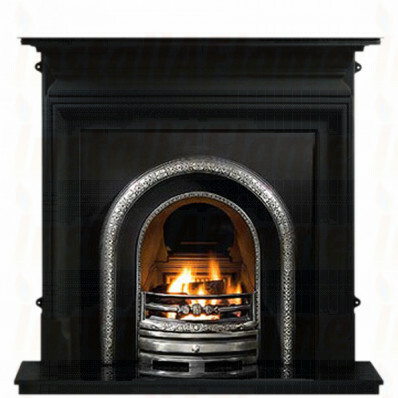 Palmerston 54″ - A black cast iron fire surround that makes this fireplace a stand out piece, also in full polished option. 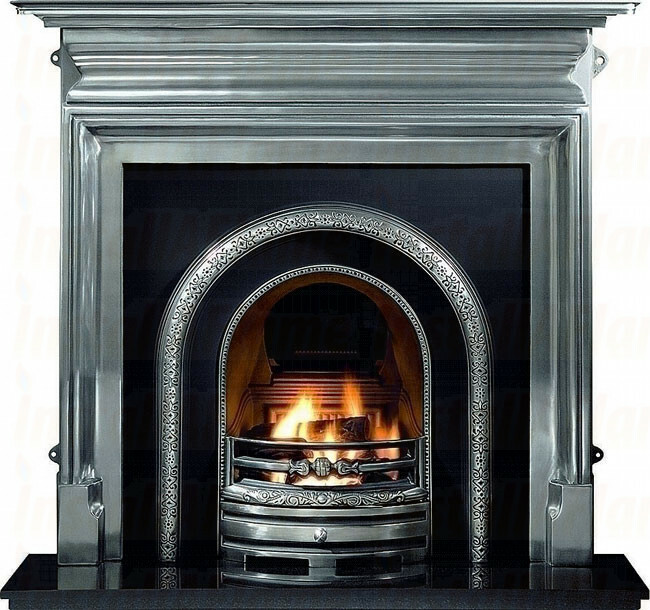 Fire Arch Insert: The Lytton - A period highlighted cast iron fireplace insert. Hearth: 54″ Granite - A natural black granite hearth at 54″ wide.